« Gem of the Week: Oh Canada, What A-Houles You Are! 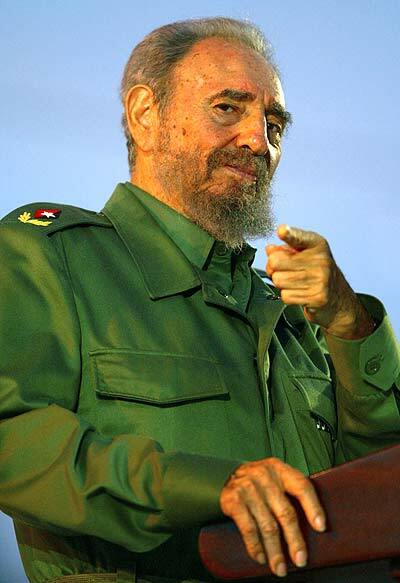 Communist Leader Castro Applauds Obamacare: Oh Gee, What a Surprise! The key words in Castro’s statement are “government” and “approve.” Government decides when and what rights to approve or grant its citizenry. As I explain in a prior post our rights in America do not derive from the government but from our own individual humanity, and they are guaranteed to us under the United States Constitution. Therefore, universal healthcare is not a right. Or at least that was the case up until now. According to the Communist-Socialist-Progressive way, your rights do in fact emanate from the government – in particular from elites within the government who know what’s best for the country and for you. In their philosophy, the government is the mechanism through which all societal ills and problems are solved and all wrongs are righted, and thereby “social justice” is accomplished. Under their rule, government goes from the protector of our rights under the Constitution, to the provider of rights independent of the Constitution. Government goes from guardian to grantor, and that which the government giveth, it can also taketh away. But this Progressive victory notwithstanding, the Cuban leader wasn’t all sunshine and kisses for Mr. Obama. He criticized the President for his lack of leadership in other areas like immigration reform and climate change. 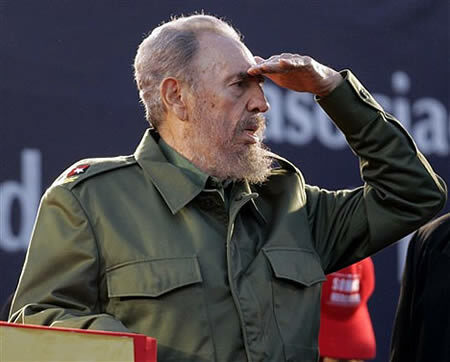 Oh, don’t you worry Fidel, those things are coming soon. Let’s take it one right at a time. Fn. 1: Among these “rights” were also the right of the government to expropriate private property, do away with a free press, and imprison, torture and execute any and all dissenters. This entry was posted on March 27, 2010 at 3:36 pm and is filed under Culture, Economics, Politics. You can follow any responses to this entry through the RSS 2.0 feed. You can leave a response, or trackback from your own site. Good stuff. I think we’ll lose our minds through this debate even though it must happen. Regardless of what’s right, we’ll never be going back to how things were, for better or worse. Great article! Really appreciate your insight. I hope we can all take these sobering realities and turn them into real positive action! Lets keep our heads up and do whatever it takes. Keep up the good work. Matt, Thanks, and again good luck with the congressional run. If there’s anything I can do to help, just let me know. Uh-huh – like the right to bear arms? The problem with this approach is a totally idolized view of the people who drafted the United States Constitution in the first place. What, were they somehow endowed with metaphysical insight beyond our own into what ‘derives from our individual humanity’? The other problem is saying that because something isn’t mentioned on a list of rights, then it shouldn’t be a right – you realize that you’re taking the Constitution as somehow being a sacred text, when in fact it was wholly a political text drawn up by men who had good intentions, but were also politicians and not anything without interest and, most of all, were inevitably confined to their own time and place. It’s completely circular logic to argue that if they didn’t think of something, no one else ever should. I never said because it isn’t mentioned on a list that it isn’t a right. You need to familiarize yourself with the Bill of Rights and why they were added to the Constitution. I’ll spell it out for you: a “right” is something you naturally possess. It is not given to you by Nancy Pelosi or anyone else in the government. It is a very simple concept that one does not need to have any metaphysical powers to understand, though I would note it seems a difficult concept for liberals and progressives to grasp. As for the Second Amendment , you’ll notice how it says “the right to bear arms.” It does not say “the right to good quality affordable arms” or the “right to arms manufactured in the State of Pennsylvania” or “the right to a smoothbore flintlock musket of large caliber,” it just says “arms.” In other words, the individual’s natural right to defend oneself with a weapon and the right to form together with other individuals in organized militias for that purpose as well. What’s so hard to understand about that? Healthcare, whether managed or provided by the government, whether universal or piecemeal, is not a right. It is a good. Like food, clothing, housing, a gym membership, or that nice pair of earrings you bought for your girlfriend. You need to ask yourself should the government be in the business of providing goods to its citizenry and then calling them “rights.” Better yet, ask yourself, what is more essential to survival, healthcare or food? I hope you answered food. And if so, why isn’t it a “right” to be fed by the government? PS. The reason why this didn’t appear as a Comment initially is because it looks like you posted it from a different email address. I’m all about free debate brother! Dude, that is the most childish interpretation of a right I’ve ever read. Tell me – where were blacks ‘natural rights’ while they were enslaved and then segregated? Rights, just other social conventions, yes that’s right, social conventions, are constantly redefined. Just because that’s scary doesn’t make it any less true. Even the concept of a right is a social convention. Don’t get me wrong – they’re good social conventions. But I’m sure you’ll agree that if you went back to other times and places – people didn’t have nearly as many, or as well protected, rights as we do now. If you would have mentioned some of what you consider to be ‘natural rights’ they’d probably burn you at the stake. And yet here we are today with ‘natural rights’. So what’s to say that in a hundred years people won’t be shocked to look back and think of the time when health care wasn’t counted among them? If you think the concept of natural rights is “childish,” then you must also think that nearly 300 years of political thought and philosophy, the long history of English and American common law and jurisprudence, and most of the Justices who are currently on the U.S. Supreme Court are all “childish.” Certainly, there is a history of people being burned at the stake, both metaphorically and actually, not just in other times but in other countries during our own time. It took a long and tortured history to take us away from systems where we depended on the pleasure of kings and governments to grant us so-called freedoms and liberties to get us to where we are today. It is a great irony that, in the name of progress and “new rights”, the liberals and progressives of Canada and now the U.S. want to take us back to a system where we depend on government to tell us what is and what is not a right and grant, or not grant them, to us accordingly. Your example of the plight of blacks in this country actually supports the concept of “natural rights.” Blacks and other minorities weren’t “given” anything that they didn’t already naturally possess by being human, to wit: their liberty. It is the sad history of this country that the government had taken that away from them. It was only after their rights were reaffirmed by Constitutional guarantees that blacks retained their natural rights and liberties. Conversely, humans do not possess a natural right to “healthcare.” You have no “right” to compel me or anyone else to take care of you when you are sick. And yet that is what the government is attempting to codify. And how do they enforce that: through compulsion and force. This is something that comes out of the former Soviet Union, and other failed and failing systems, it is not within the tradition of this country. I daresay that your being Canadian has numbed your sense of personal responsibility and self-reliance. You and your countrymen have come to expect your nanny state government to take care of you in almost every way. You want what you want, when you want it, and you want it for free. Now tell me, who is being childish? Oh, and one more thing: rights are just social conventions? So, you equate rights like liberty and equality with which fork I’m supposed to use for my salad? Where do you come up with this stuff? Oh right, I forgot, I’m talking to a Canadian! Actually, I was born in communist Poland, emigrated to Canada at a young age, and am now living in Poland again, for a while anyways. Rights are social conventions. We may well think of basic rights as being natural – but they are natural in the sense that we all agree on that. If you prefer then, rights are products of certain historical developments. The fact that we think of rights the way we do in the West today is not the product of some inevitable course of historical progress – it is a product of any number of factors that have influenced the development of our corner of the world. What you think of as natural is conditioned by any number of things, too. To wit: just ask ten different people what they consider ‘natural’ and you’re just about sure to get ten different answers. If rights are natural – then why did we need “nearly 300 years of political thought and philosophy, the long history of English and American common law and jurisprudence” to come to where we are? Of course I believe that we all have basic rights – but I am product of my time and place, too. The problem is in thinking that the US is somehow the epitome and end product of history and that, therefore, the American way is the ‘natural’ way – it’s teleological. Back on topic – why is giving the opportunity to have coverage to those who can’t afford healthcare an encroachment on your right not to have it? Well, as an East European, and especially a Pole, I would think that you would appreciate the contrast between the freedoms of the West versus the Communist oppression of Soviet dominated Poland. Didn’t the U.S.S.R. and its satellite states, including Poland, have universal healthcare written into their respective constitutions, together with other so-called “rights”? How did that work out for you? Rights in the United States are not mere social conventions, not even glorified ones. Social conventions or societal norms are generally accepted standards of conduct that usually manifest themselves as customs, for example the way people greet one another. (In America we shake hands whereas you Europeans like to kiss.) Sometimes social norms are codified into minor laws and regulations (like which side of the road you’re supposed to drive on) but they are not basic rights. Would you consider the First Amendment to be a mere social convention? Is the freedom of speech and expression there in the Constitution to protect polite, socially acceptable speech like, “Excuse me Madam, could you please pass the sugar?” If the First Amendment is there to do anything it is to protect the right to say the most socially unacceptable of speech. It is the anti-social speech and expression, the things society does not agree upon, that comes under First Amendment protection. Likewise, under the Amendment, you have the freedom to worship as you please. Not just the Judeo-Christian religion of the majority, but any religion whatsoever, even one that is not recognized and shunned by society. You also have the right not to worship at all. If anything, the things that are protected under the Bill of Rights are the exact opposite of social conventions. But I understand what you’re saying. Governments are societal constructs and as such the rules by which they operate are created by man and thus they can be modified or undone by man. That is axiomatic. No one here is arguing that the Bill of Rights was put on earth by God (acting through James Madison or somebody else) as a kind of revised Ten Commandments. Hence your teleological claim is without merit. But having said that, the American system is unique. Before the American experiment, nations throughout history began with the basic premise that rights come from the government or at the pleasure of the king. But at the height of the Age of Enlightenment, the founders of the new American nation turned this entire concept on its head. Rights, it was finally recognized, do not come from the government or even a supposedly Divine ruler, they inherently belong to the People themselves. The People are possessed of certain “unalienable” rights. And it is the People who decide what powers, if any, shall be given to the government. You know, “We the People.” Read the Constitution and the Declartion of Independence and then ask yourself why this unique form of self-government is the most successful the world has ever seen, or is likely to ever see so long as we still retain are humanity. Perhaps the most illuminating phrase in the Declaration of Indepndence is “[a]mong these are life, liberty, and the pursuit of happiness.” Note that it is the “pursuit” of happiness and not just happiness. Big difference. Ask yourself why that is and you will get to the heart of how a “right” in the American political system is defined. In fact, the so-called “rights” under the Bill of Rights are not really rights at all. They are more like prohibitions. A list of rules and restrictions, not placed upon the people, but upon the government. They proscribe how far the government can and, more importantly, cannot go without infringing on natural rights that belong to the people by virtue of their humanity. You ask me why I consider a so-called “right” to healthcare an encroachment. Well, the healthcare reform law, in both letter and spirit, violates all of the above. Here are just a few reasons why: First, it forces every American to buy health insurance. This isn’t a right, it is an order. The government is ordering me to do something just by virtue of my existence which is patently unconstitutional. To use your Second Amendment example, it would be as if, instead of every citizen having the right to bear arms, the government required each and every citizen to bear arms! Second, the healthcare law essentially forces one person (a doctor, a nurse, etc.) to take care of another. If a so-called “right” forces, by government mandate, another person to provide you with some good or service (i.e. care when sick) then it cannot be a right because it infringes upon that other person’s rights, namely the right to be left alone. They have another name for this: it’s called slavery. Finally, where does it all stop? If healthcare is supposedly such a basic right, then surely food is a right too, yes? You still haven’t answered that question. Do I have a right to be fed by the government? And there are other reasons, but need I go on? Actually, the ideas manifest in the US Constitution were not merely pulled out of the clouds. The ideas of supremacy of governed over government and of the Social contract existed in Europe well before the Revolution ever took place, and indeed many of these ideals existed in Britain at the time. Britain had a “constitution” and a basic democratic foundation ever since the English Civil War (Republicans VS Monarchists) ended absolute monarchism, replacing it with constitutional monarchism. The colonies’ beef was with the British Parliament much more than it’s figurehead king (although, he was quite crazy, wasn’t he?) The Divine Right of Kings that you alluded to was dead in Britain when the Revolution broke out, and afterwards, your nation’s successes encouraged the French to do the same (choppy choppy) , and eventually everyone did or at least tried a similair type of republican experiment. The US Constitution is indeed unique and was something quite new for the age. However, to say that the ideals behind it were totally spontaneous is ludicrous to say the least. Thanks for the history lesson. Did I say the ideals were totally spontaneous? Did you delete my comment just because you didn’t know how to respond? Open debate indeed. What are you talking about genius? the fact that my comment disappeared before it reappeared – genius. CC, have you ever visited Cuba? I have spent two weeks there as a tourist, including about half that renting a car and traveling around the western and central part of the island. Basically, if the USA had their way, Cuba would have been starved into submission after the Soviet Bloc collapsed and their main customer for sugar (bought at a higher than normal price) disappeared, as did their main supplier of many goods. From what I could tell, the people seemed pretty happy and healthy and appreciative for the little they had. And all the Bush sabre-rattling provide the enemy they need to unite the people in their fight against Imperialism. I should note that a Chilean friend lived under the Pinochet regime before emigrating to Canada. He said that even a dictatorship has to have the support of at least a third of the population to survive. In case it had not dawned on you, you don’t visit Cuba to shop. Tylenol is only available in two places in Cuba, both clinics for foreign tourists. One other Canadian who was there on a human rights tour told me they use massages for headaches. They have great health care for the limited resources that have. 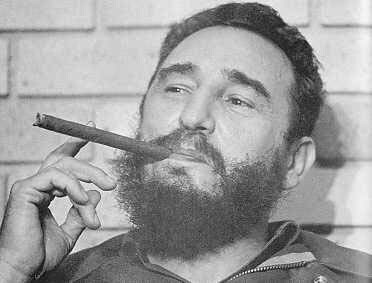 You can obsess all you want about Cuba, but the USA, after liberating them from the Spanish, became the new exploiter. And, the USA has never forgiven the seizing of plantations owned by wealthy American families. I don’t know that any government official actually said that, but it certainly sounded correct. No, I have never been to Cuba. Nor do I ever plan to go. But I have been to Miami, Florida and have met several Cuban Americans there. Go and ask them what they think of their former country and the wonderful Castro regime and whether they agree with your trenchant exposition of American imperialism.